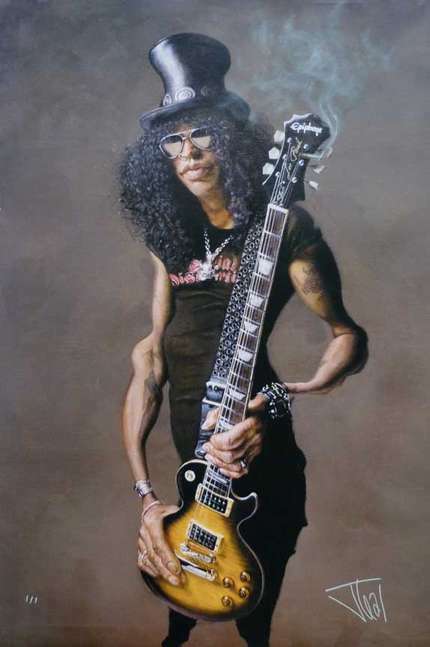 Master guitarist Slash, always with a puff at the ready. Super detailed overpainted gicle'e by Jota. Stretched and ready to hang in 27" x 41" size.